Buyers and Sellers ask me about the home sale market. It is good to ask because it is important to stay up-to-date on the home sales and the sold values if you live here or are considering buying. What has the month been like, are homes selling and in what price range? Let me tell you…..This has been another hot summer in sales for the real estate market for Pace, Florida. Let’s take a look at the real estate market in the lovely gated subdivision of Stonechase in Pace Florida. If you are wondering, What’s My Stonechase Home Worth August 2016 please read on for the most current home sale information. There were 6 homes under contract at the end of August. The average list price was $367,552 and the average days on the market was 60. For a comparison, there was 1 closing in Stonechase subdivision for the month of August 2015. The average price was $212,900 and the average days on the market was 168. New homes are still being built in this gated community. It is important for you to know that the builder’s agent does not always, most of the time does not, put the sales data into the Multiple Listing Service (MLS). So the data provided is what was entered into the MLS. Existing homes are starting to enter the resale market. For sellers it is essential to list your home at a price that is consistent with the most recent activity. If you are considering selling and wondering what your home is worth, we offer FREE market evaluations to assist you in your sale. 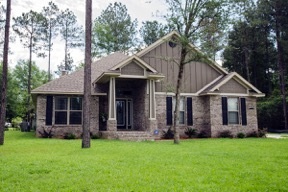 If you would like information on homes for sale in Stonechase Subdivision in Pace FL, please call or text me at 850-377-4410 or email me. 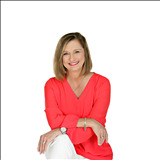 I would be happy to assist you or to discuss homes on the market in Pace, FL. Home sales continues in full force as we get ready move out of summer and get ready for fall. Some people have asked me, "Should I wait until next spring to sell?" My answer to them and you is "NO, now is the time to sell. Home buyers are still actively looking and the market is still hot. We are still seeing multiple offers and short days on the market. The latest Pace homes for sale can be found here. Finding affordable housing in Pace means you need to be ready to buy and have your pre-approval from your lender in hand. Ensure you have a reputable mortgage lender to help you.